The Astree first partita is very odd, I just do not like it. But the second and the sixth are interesting to hear if I remember right. The 6th is good. But I probably won't be in a hurry to come back to either Verlet. What's Dutch straightforwardness? Is it a strength or a weakness? IMO ,"Dutch straightforwardness" should be taken as a simple tag, without technical aspirations. I think about it almost as a synonym of “no-nonsense” style. Practical and serious, and only interested in doing what is necessary to achieve what is intended, without silly ideas or methods. There's a view that I've heard before about the cantatas and other church vocal music, that Bach was writing for relatively unskilled performers and so what he notated was basically what he wanted. He didn't want people to add expression because basically, they weren't up to it. I've never heard this view defended for the instrumental music, but I could imagine a case being made for it the suites in the Anna Magdalena Notebook, for example. But maybe that's what Que & Co. are getting at - the music shouldn't be adorned if you're interested in what Bach had in mind. That's why I mentioned Walcha. As far as Pandora's Box is concerned, I won't open it. I don't think it makes much sense to. Seriousness is an interesting idea, I suspect it'll be very difficult to cash out. I am under the impression that at least some of the vocal music, especially the cantatas for solo voice, were written for singers Who Knew What They Were doing. Also remember that much of it was being rehearsed and performed under Bach's supervision, so there was some opportunity for verbal instructions that did not need to be written down. He wrote down most embellishments that were usually improvised but that does not mean his performers were not skillful in general. Although many of the keyboard works also served educational purposes, another reason for writing out stuff explicitly. But I do no think that this has anything to do with what we would call a "straightforward" performance today. It is mainly about all these turns and grace notes etc. As far as rubato, "rhetorics" etc. are concerned we simply do not know what Bach's performers might have taken as "usual" or what Bach might have conveyed to his performers in rehearsal. Well I'm slowly coming to the conclusion that Dutch straightforwardness doesn't make sense if it doesn't mean comm'e scritto. I just listened to Belder playing the 3rd French suite. It's so serious it's seriously dour. Spanish Inquisition music. He wrote down most embellishments that were usually improvised but that does not mean his performers were not skillful in general. Yes skilful maybe wasn't the right idea. I mean they may have been able to execute difficult music, but perhaps lacked the experience or artistry to embellish a score sensitively. There's room for all approaches surely. That doesn't mean you have to like them all equally, or at all. It is not Dutch as such, but seems to be common for a group of Dutch musicians. As to strightforwardness I admit that I in this context prefer the expression no-nonsense. A recording early in Belder's career (1999), and to my ears premont was right in his assessment that this is Belder's most succesfull contribution to the set. Though there is more nice stuff to come.... Initial impression of this performance is of of a stately and somewhat deliberate sounding performance, but beautiful phrased and with "Dutch" straight forwardness. The faster movements are however played swiftly (and steady), though can sound a touch mechanical. All in all, there is something very attractive to the airy and transparent result, aided by the well recorded pleasant sound of his harpsichord after Ruckers. I would be very interesting in a remake after so many years, which undoubtedly will be more flexible and deeper, but as it is - this is an attractive breath of fresh air. 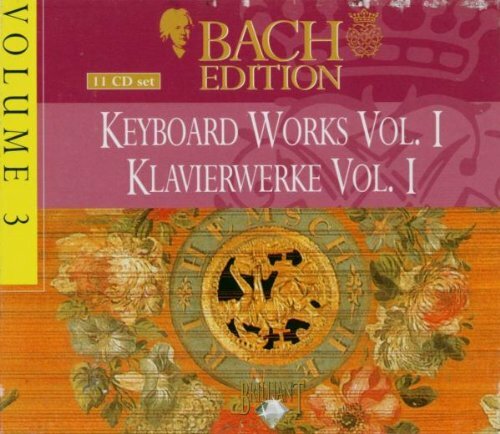 I thouroughly enjoyed this 3CDset with miscellaneous harpsichord works from Bach's early days. There is little information available about the Flemish performer. The booklet is not very helpful: "she was the pupil of various masters of the harpsichord in Belgium, the Netherlands and Germany". Anyway, this lady delivers solid, balanced and carefully detailed performances with great dedication. Might sounds boring perhaps, but this kind of unobtrusive, straight but lively style seems to work well with this little youthful gemms. She is aided by two wonderful sounding harpsichords: one by Henri Hemsch, 1754, and one by Jacques Goermans, 1774. Frustratingly, Brilliant doesn’t tell in which piece which harpsichord is used....My ears tell me that Wuyts continously alternates between them. The recording dates from 1988, and might have originally been made for Adda (now defunct). Competition is few but strong in shape of the two volumes (3 discs) of the "Harpsichord music by the Young Bach" by Robert Hill (Hänssler), whose performances are more virtuosic and "high brow" (strongly recommended, as is anything by Hill in that series). Still going to keep this, some lovely renditions here, not least of all of some pieces of doubtful authorship like a helter skelter "phantastic" BWV 909. When this was recorded in 1999, Léon Berben was a very young man. And this is a young man's brave attempt at the Old Testament of keyboard music. A mixed bag of haphazard playing that includes well executed and brilliant ideas, a lot of stop-and-go, musical phrases that collapse, touching moments, and so forth. What I hear is Berben on exploration through the WTC, trying out different things but never exactly knowing where he is going. Despite the draw backs I much enjoyed the adventure - Léon Berben has a brilliant mind and has some great insights. PM I will continue to add to this post with comments on the rest of the content. I am surprised, that you do not comment upon his cornucopia of wrong notes, particularly in the modes with many accidentals, completely distorting the music. Oh, they are defenitely there! 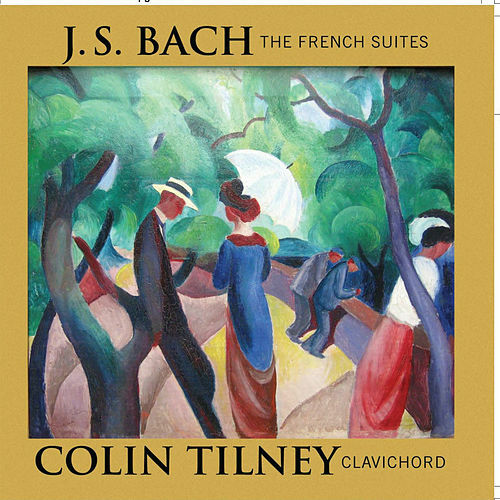 Um...Colin Tilney recorded the French Suites on the CLAVICHORD? Anyone have a thought on this? Yes, I like it as much as Thurston Dart and less than Julian Perkins.